I bought Artisan Bread in Five Minutes a Day. And it’s awesome. Great concept, especially for those of us who are prone to thinking, at 5:00 in the evening, “Ooh fresh bread with supper would be great!” Poor planning = no bread. Or it did, but not now. NOW I have bread dough in my fridge, ready at a moment’s notice. 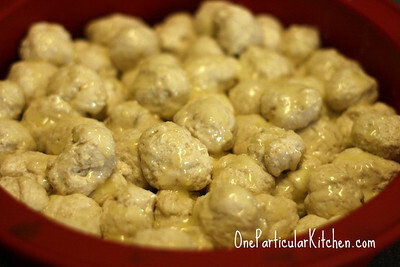 Ready to become chewy pizza dough, or a crusty loaf for supper or… monkey bread. I left intructions to let the pan sit out on the counter while the oven was preheating to 350, then bake for 15 minutes. 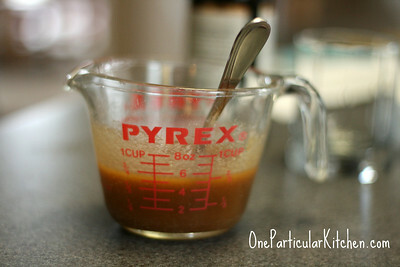 At that point, nuke the topping until it’s pourable, then pour it over the bread and bake for 15 minutes more. I love it! Reckon it was good, huh? Looks great! 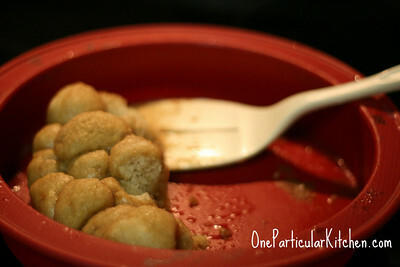 I’m going to have to bookmark this recipe, my husband LOVES monkey bread. What a neat idea! I love monkey bread! Not every house guest indulges my little blog. You’re a keeper!